Florida garners quite a bit of hate from the rest of the country when the winter months start to roll around. People in Chicago, Boston and New York really just don’t understand that we, too, get a winter season. Sure, we don’t get feet upon feet of snow, and we rarely hit below-freezing temperatures. But we still have a winter season—it’s just a little warmer than winters up in, say, New England. Every year, Pantone publishes a colour report based off of a host of design, fashion and cultural factors. The colour report often predicts the biggest hues of the season. Since Floridians can’t wear as many winter styles as the rest of the country, stay on-trend by finding garments in the colours of the season. 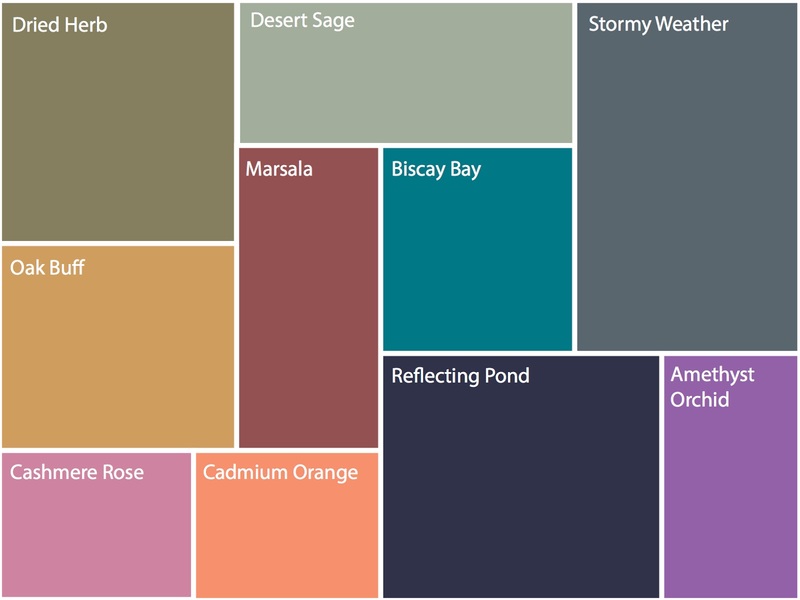 This year, “Cadmium Orange” and “Biscay Bay” seem to have been inspired our sunny weather, making it simple to work these shades into your winter style. Goodbye, black! In the Sunshine State, the sun does exactly that—it shines… a lot. One moment you may be a little chilly, but as soon as the sun pops out, you’re ready to shed the coat. Keeping it simple is key. Don’t overwhelm yourself with too many items like a scarf, cardigan and a coat—you’ll regret the extra garments as soon as you decide to sit outside for lunch. Just one piece of outerwear is all you need. Just because you can’t sport a heavy parka doesn’t mean you can’t follow any of the winter trends. It just takes a little more creativity. Less is more when it comes to Florida winters, so pick one winter trend you just have to try, but then pair it with your trusty warm weather attire. As Lyst suggests, wearing a trendy beret and matching it with a “sophisticated mini dress” is a stunning, ladylike look, and it perfectly balances the winter trend with Florida’s weather. Just like folks in the northern states need to be prepared for a snowstorm to hit at any moment, sometimes the Sunshine State’s weather can be a little unpredictable, too. Though Florida’s not popularly known for freezing temperatures, every now and then, we get a little frost. Even earlier this year, News4Jax reported that Jacksonville experienced snow flurries. With that said, you should always have at least a couple cold weather items in your closet: waterproof boots, a heavier jacket and some scarves. You never know when you might need them!